This is a really amazing website, isReads, where they post poems in public places in a few cities around the US. If you go to the website you can see all the poems and pictures of them up and about. 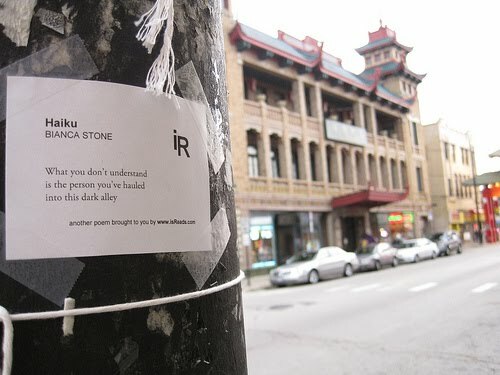 My little Haiku was up. Also one by the infamous Tao Lin.